Helvellyn is also easily accessible from all our Ullswater Cottages, hence the name “Helvellyn Cottages” for our cottages in Glenridding! From our cottages in Glenridding the most direct route is to turn right and head up Greenside Road to the Helvellyn YHA (the old Greenside mine) and then follow the path to towards via Raise to Red Tarn. 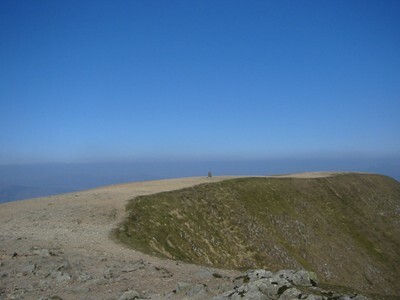 Form there you can either ascend via Swirral Edge or Striding Edge. For your return you could try coming via Hole in the Wall and down the Grisedale Valley to Patterdale and then back to Glenridding. 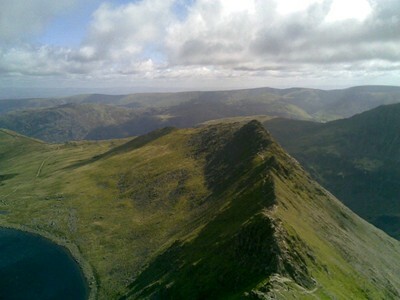 Please click the link to see photos of Morgan’s first ascent of Helvellyn via this route in June 2010. From The How cottage in Patterdale the easiest route is to go up the Grisedale Valley. Head for St Patrick’s Church and follow the road up past Home Farm (signposted Grisedale Tarn and Helvellyn). 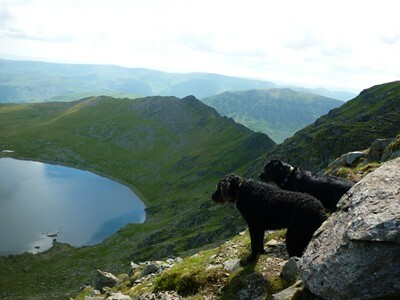 Follow the path up the northern side of the Grisedale Valley to Hole in the Wall and then either continue along Striding Edge or drop down to Red Tarn and ascend via Swirral Edge. Please be aware that the weather can change quickly on the fells. Always be prepared for the worst and ensure you have suitable equipment and clothing. Don’t rely on your mobile phone to get you out of trouble as signals are variable at best. For more safety information please via the Helvellyn Safety Information page on our Helvellyn Website. 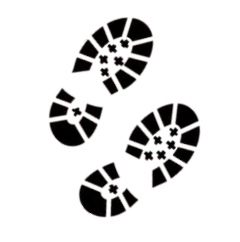 The OL5 Ordnance Survey Map will provide your ideal walking companion. Please click here for more information on walking around Ullswater, or visit the main Helvellyn website using the link below. Please click here to see Morgan’s favourite walks from our Patterdale Cottage. If you would like more information or would like to book our Ullswater self catering accommodation, please contact us.